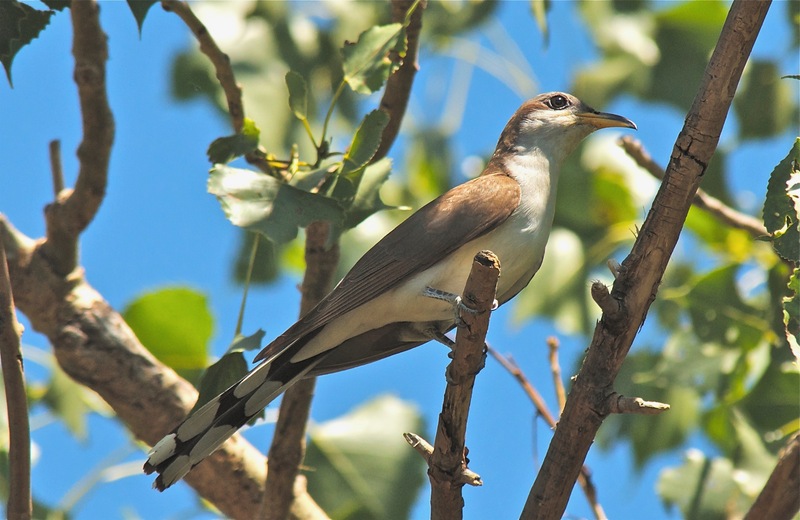 A bird few know we have in this area, the Yellow-Billed Cuckoo. There is a Black-Billed in Western Colorado. 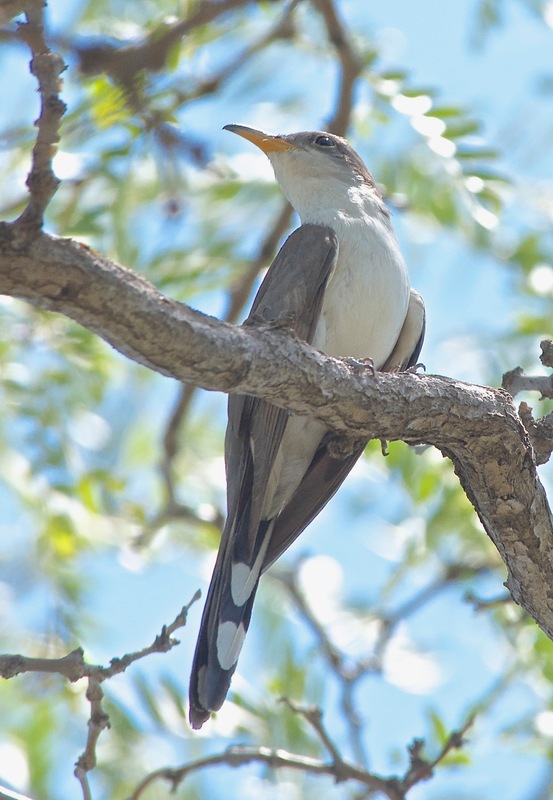 The bird arrives in June and quickly nests. Usually they produce two babies. The first leaves the nest after only seven days and is cared for by the father. The second egg hatches later and is cared for by the mother. 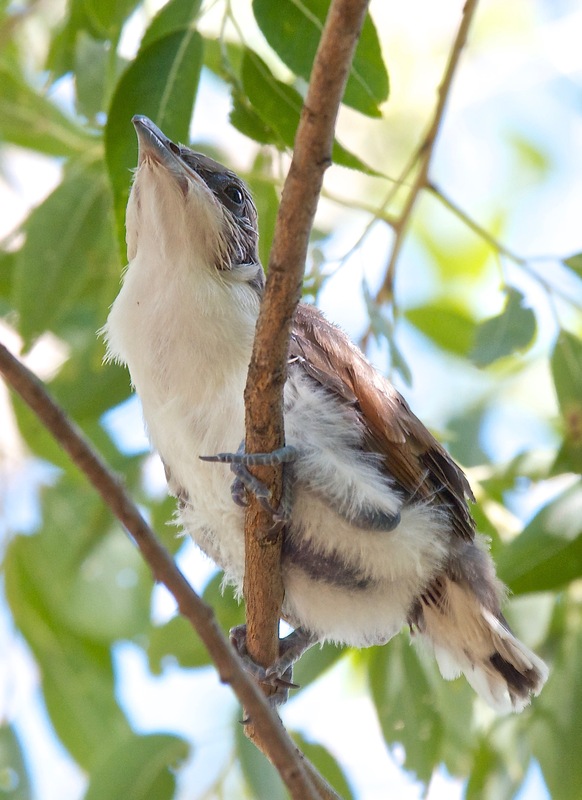 A very secretive bird, but it will begin “clacking”–like sticks slapped together–if you get near its nest. Once it has your attention it will lead you away from the nest. To find the nest, go in the opposite direction. 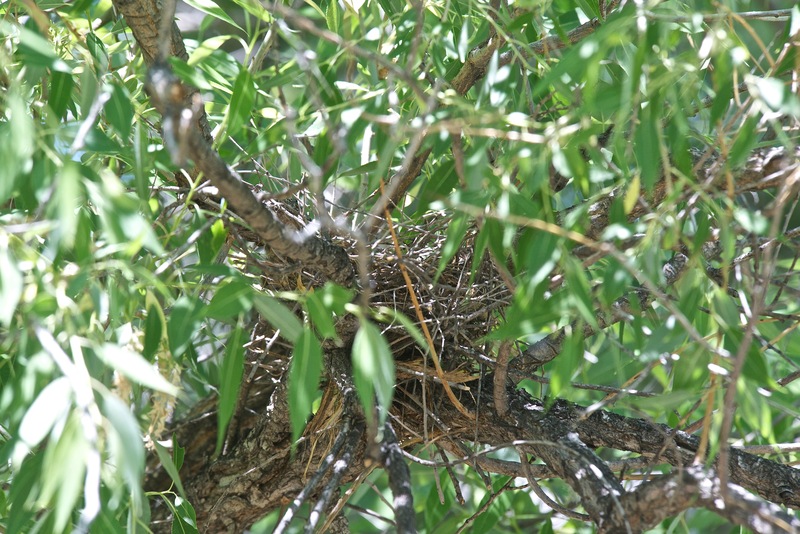 I have only seen nests in Peachleaf Willow or Ash trees. The babies develop quickly and climb about like monkeys. 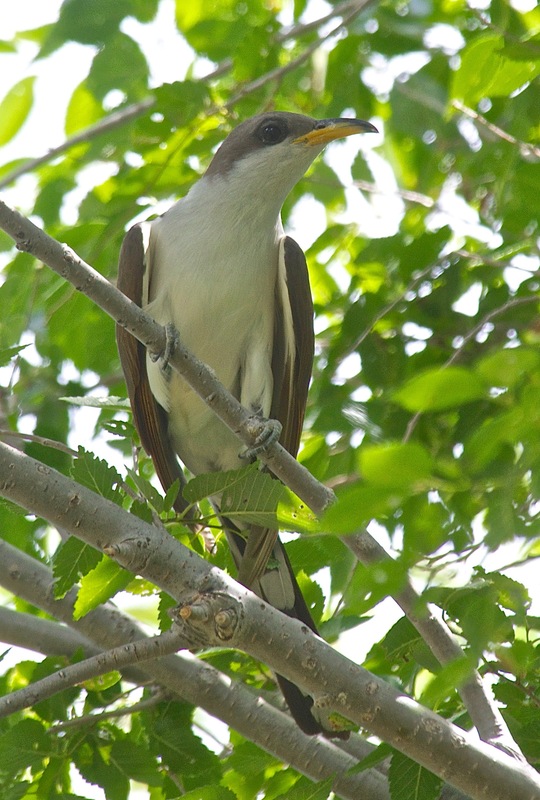 This picture was taken July 22 and was the second bird in the nest at the river. They can fly with those short tails. This nest, in use, is very insubstantial. It looks like a Mourning Dove nest except the twigs are thicker and larger.